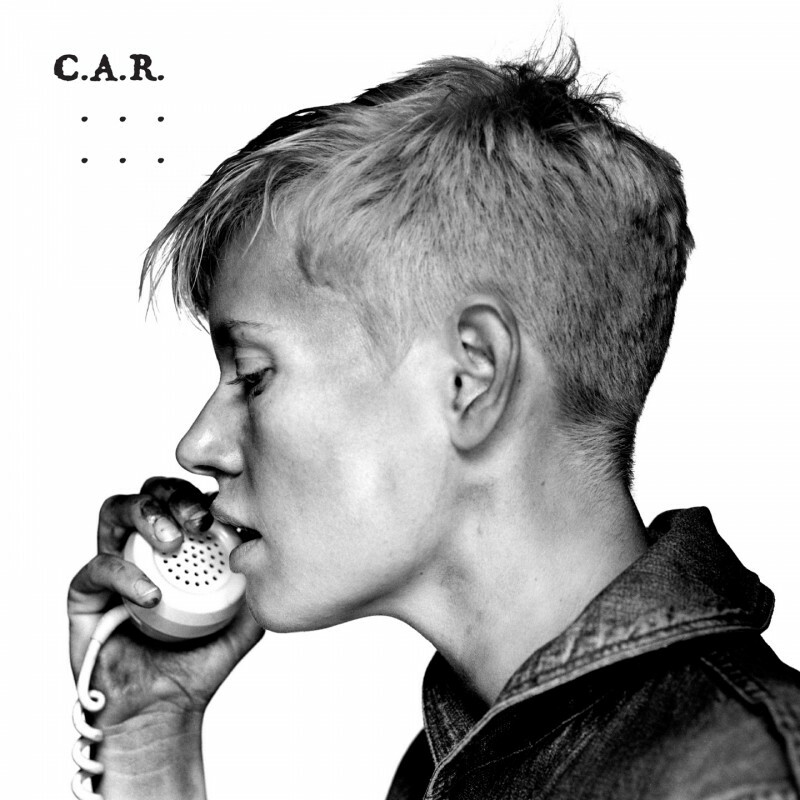 C.A.R is Chloé " Battant solo project. She calls herself C.A.R. now. And we are all riding shotgun. May be we have an uneasy smile on our face. We are drunk from the speed, slightly unhinged by our being attracted by the mere possibility of a crash. Chloe (let's drop the 'Chloe Battant' now that it is has been pointed as only a remainder) is like dodge charger, a muscle cat of nine lives. When many would have ended rotten in a barn, she has used dust and rust to become C.A.R. , born out of pain and plain hard work. 'The Sophomore', her album will be dealing with loss, the humour and change that needs come from it. The road is here to be taken and here is the first pit stop, three songs where her dream like reconstructions collide with electronic intimacies, showing the scope of her open road. "HIJK" is one of the most personal track of 'The Sophomore', the opposite of poetry, a diary entry about coming to terms with death, music revolving around almost spoken words. "Laika" may show the nostalgic side of C.A.R. American suburbia is never far, but it is 'Over the Edge' more than any other film that seems projected over its almost naive eighties electronics. Not twee in anyway, flashes of innocence lost. "A Ticket" is a rare flash of 'Englandia' (C.A.R dreams american), a sea-shanty, an East end pub crawl that descends into depravity. What does it mean to live in excess? HIJK & Laika were produced by Tim Fairplay, who delivers the first re-interpretation, a robust simple electronic wave work out. Krikor saw rightly much of a Crash Course in Science into it, his remix is a not so straight forward homage to 'Flying turns'. Finally our basement friends Discodeine deliver a proper punk stomp, exploiting/exploding the hypnotic original.